Kaylee is 14, she loves playing her trumpet, dancing and playing soccer. All those things ended in June of 2017 when she got sick. She began to continuously vomit and could not stop. 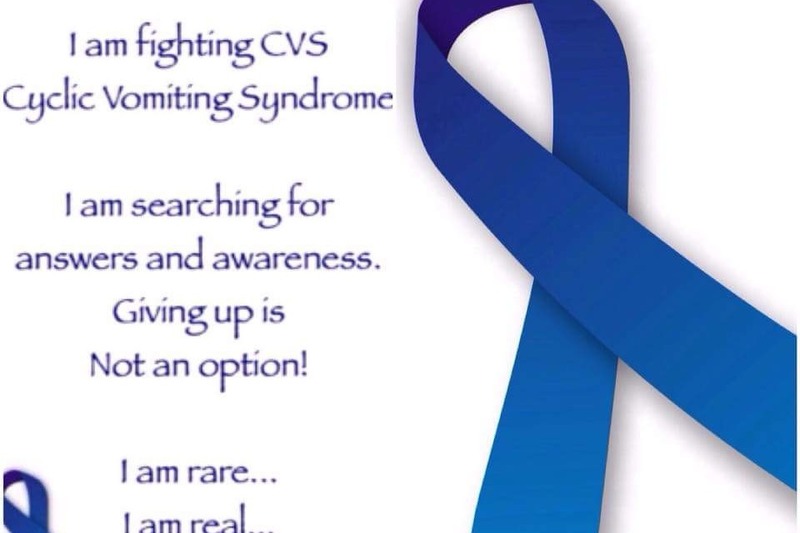 We took her to the doctor and the diagnosed her with Cyclic Vomiting syndrome also known as CVS.Cyclic vomiting syndrome, or CVS, is a disorder that causes sudden, repeated attacks—called episodes—of severe nausea and vomiting. Episodes can last from a few hours to several days. Episodes alternate with longer periods of no symptoms. . Episodes can last from a few hours to several days. Experts aren’t sure what causes cyclic vomiting syndrome. Kaylee lost so much weight that we were forced to put a nasal feeding tube in. She was home bound from school and is currently 1 year+ educationally behind. 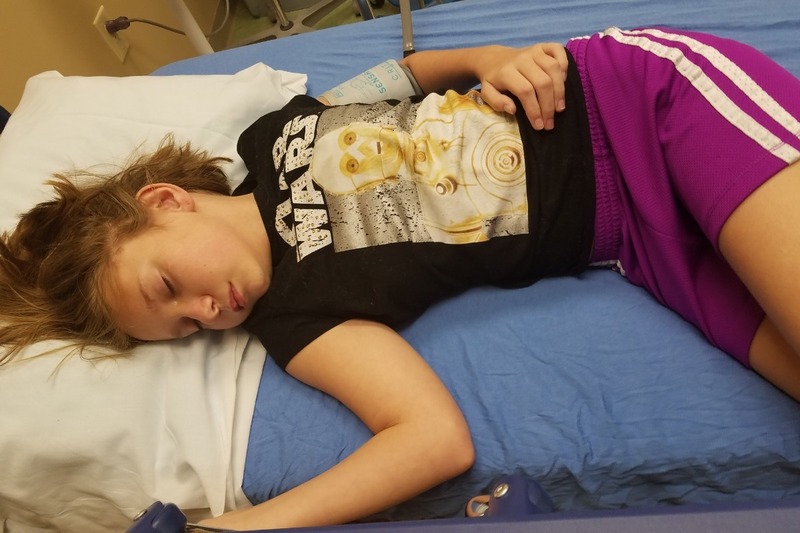 Local Pediatric GI specialists gave her a variety of medications that were either ineffective or had scary side effects that left her incapacitated requiring 911 help. We took several trips to the ER where we were concerned that she would aspirate on her own vomit after being medicated to stop the vomiting. She would act delusional at the ER after these meds. I sat awake several nights concerned that the next morning i would find her deceased. She is currently 88 pounds, the most that she has weighed in her life and we are fighting to keep it on her. This illness has taken a toll on all of us, and has impacted every member of the family. Kaylee's Stepbrother had to save the day and hold he head up in the car on the way to the ER. Terry is protective of her and cares for her when I have to be at work. I often miss work when he is not available to care for her to the point where i have concerns about our families future. Terry loves her and his job had been kind enough to allow her to stay on the couch in the back room in the past. I am the only one in the family that carries insurance on us. It is not offered at Terry's job. She did not qualify for in home health. 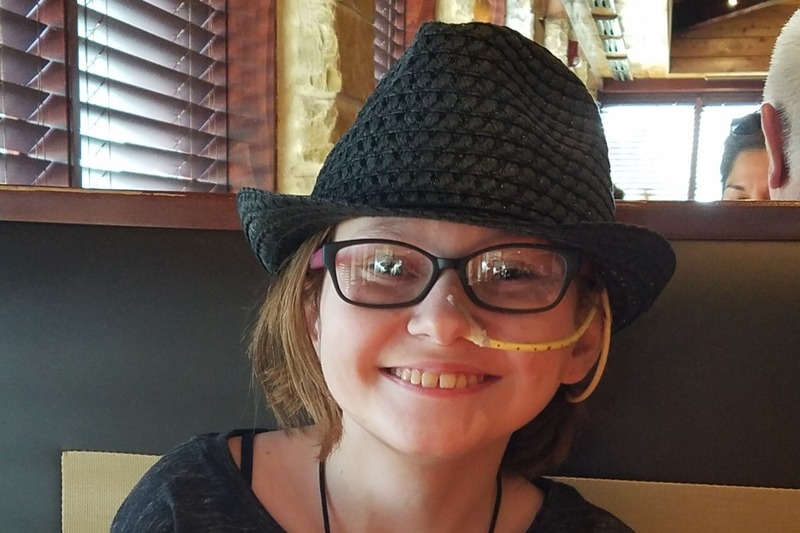 I looked for specialists that were experienced in treating this chronic disease and found that the children's hospital of Wisconsin had a clinic that treated other children that share Kaylee's disease. I found thru research and speaking to others in a support group for parents that this is the PLACE to get help. People come from all over the US and the world to seek care. As previously mentioned, I have insurance thru my job and asked that she would be permitted to get the medical care she needed. We were declined ,even after submitting documentation from her doctor that it was medically necessary. Instead the insurance company sent us to Houston to see another doctor, who was not a CVS specialist. I argued with them, and tried to make my point that you do not send a patient that needs specialized care to see a doctor that specializes in something completely different. The insurance company had us in tears and only saw this poor little kid as $$$ to be spent not as a human life in need. There were no significant results in Kaylee's health as a result of our Trips to Houston. Surprisingly one day in the spring of 2018, it just stopped. Kaylee was able to return to school at the end of the school year for half days. She was a normal child again over the summer and got to enjoy her life as a child should without social isolation. Approximately 1 month ago the CVS returned with vengeance. She made it 3 days in school until i was called to retrieve her. Since then she has not successfully completed a full day of school. She is back to social isolation, vomiting constantly, sometimes as much as 20 times a hour. She is physically exhausted and some times is not awake for more than 6 hrs a day. Her quality of life is non existent. 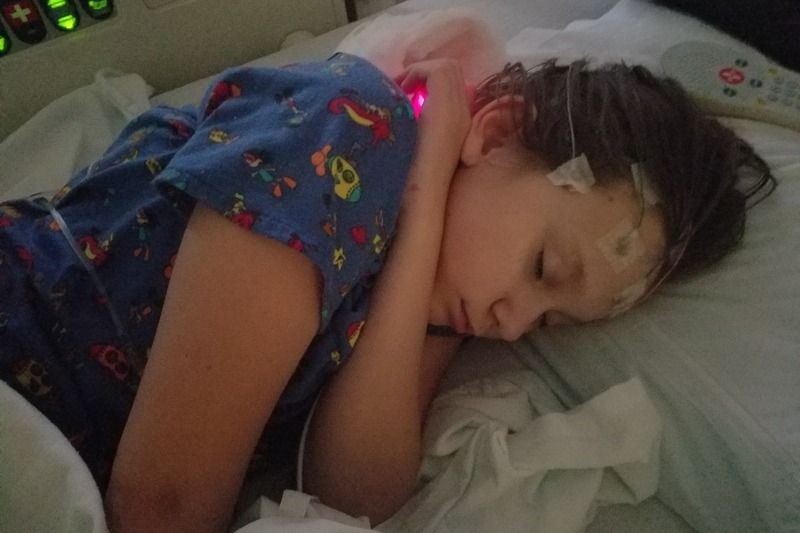 I do everything I can to help but its horrible when your child looks at you saying mom make it stop and you cant, and local doctors cant make it stop with their only answers to help is sedative medications that are ineffective. I work a full and a part time job currently to help pay for her medical expenses from the previous summers extensive hospitalizations. Kaylee has gotten to the point where she had noticed that we are always paying for her medical care. This was not intentional but she had asked questions about why mom was always gone in the middle of the night. I had to explain to her that I had gotten an additional job. She felt bad that mom had to do it and tells us that "It's ok mom, you do not have to do that". We were recently "approved" thru the insurance plan to have genetic testing done. It is only for limited tests. She told me that she did not need to do have it done because she does not want to cost us any additional money. I was heart broken. I contacted social services at the Children's Hospital of Wisconsin to find that there is no financial assistance and i must cash pay since the insurance plan refuses to assist. K was able to make it to school 3 days this week, hopefully it is going dormant and will give her relief for a while. Spaghetti dinner is a go! Please join us for dinner for a good cause! 716 north 4th street Killeen Tx. Kaylee was able to successful complete a half day of school yesterday, but did not make it to school today .